The holidays are upon us, which means it’s the time of year where busy moms everywhere are looking for hacks and shortcuts to make entertaining easier. That’s why I visited CBS LA’s KCAL9 this morning to share some of my favorite holiday hosting hacks for busy moms. From easy appetizer ideas to a healthy on-the-go snack, check out everything I featured below. Don’t forget to watch the segment by visiting the On Air page! Holiday hosting can be stressful, but with the Keurig K-Latte Single Serve Coffee & Latte maker, you can keep guests at ease with a coffee or latte using the same brewer. 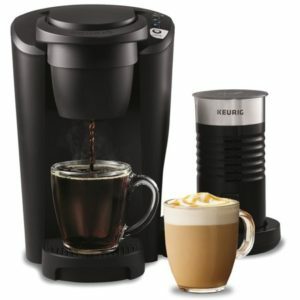 While most specialty coffeemakers can be complicated, time-consuming and messy, the Keurig K-Latte coffeehouse brewer is simple to use, allowing you or your guests to prepare coffee or lattes in minutes. Find it exclusively at Walmart for $99. Marinated goat cheese is all the rage in Australia but it’s hard to find in the US, until now. CHEVOO’s marinated and infused goat cheese is super easy to spread on anything to make a, unique holiday party appetizer is no time. Skip the boring old cheese plate and treat your guests to something new. Plus, you can even use the leftover infused olive oil as an easy salad dressing or drizzle it on top of meat… the possibilities are endless! When it comes to holiday hosting tips for busy moms, one of my best hacks is to start with a high-quality protein like Farmer John Fresh Pork because you don’t need to do too much to create a flavorful, crowd-pleasing dish. You can throw the Farmer John Pork Roast into the slow-cooker with vegetable broth and some seasoning, then set it and forget it! It’s that easy to make tender and juicy pulled pork for these delicious and festive pork & chestnut cups. Another hack I love is to use pre-made fillo shells or puff pastries to cut down on even more cooking time. Farmer John California Natural Fresh Pork is all-natural and so versatile, making it the perfect base for a weeknight dinner or holiday entertaining. Farmer John products are available at local grocery stores including Smart & Final and Stater Brothers Markets. The holidays are the most indulgent time of year so why not incorporate some healthier dishes into your holiday party. 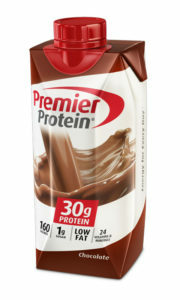 Premier Protein shakes make it easy to keep your family and guests healthy while visiting during the holiday season. They’re great on their own as an easy grab-and-go option or you can make delicious, healthy hot chocolate for your next holiday party. 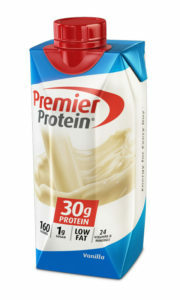 Premier Protein’s shakes have 30g of protein, 160 calories and 1g of sugar. They taste so good it’s hard to believe they’re actually good for you! 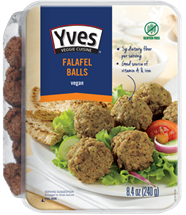 For the holiday host looking incorporate more veggie-forward foods into their party menu, check out the new Yves Veggie Cuisine Appetizer Bites. 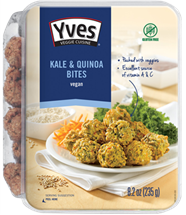 They are the perfect comfort food snack and it comes in two flavors: Kale & Quinoa Bites and Falafel Bites. Just pop them in the oven for 10 minutes for a crispy, tasty bite that’s also gluten-free, low in fat and a good source of fiber. Find them at Walmart.